Healthy economic data and a strong jobs report have investors rotating into cyclical and growth-oriented sectors and away from defensive and overseas markets. Last week, markets rallied strongly, and the unrelenting streak of consecutive up weeks following the December lows continues. My problem with the move is that Utilities and Treasuries are not breaking down. There is no doubt that there is a retirement crisis in America, but the fix isn’t the Dow hitting 150,000. The fix is you. 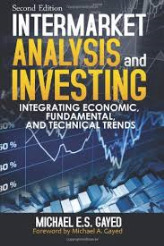 Description: This eye-opening book brings together today's most relied upon tools of market analysis. Michael E.S. Gayed clearly explains how this powerful combination of major schools of thought of market analysis can help investors dramatically improve their judgment on likely market performance and spot important trends, thereby making successful investment decisions.